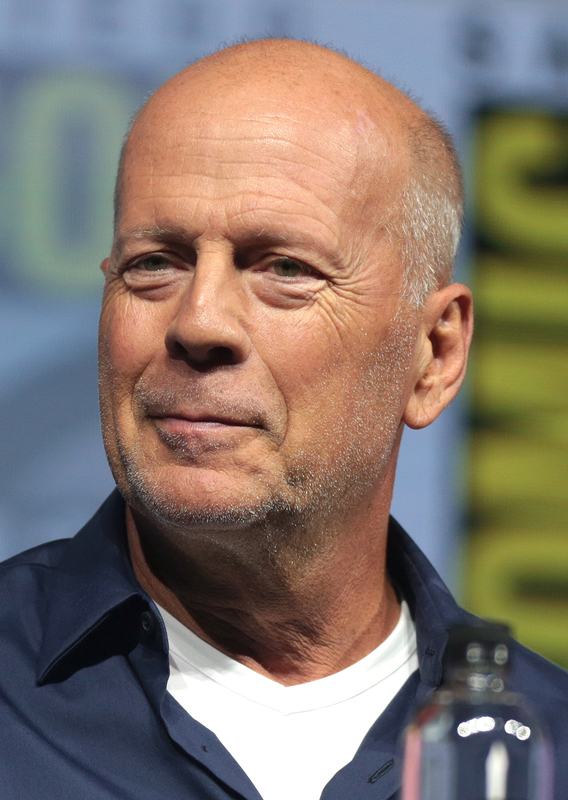 Walter Bruce Willis (born March 19, 1955) is an American actor, producer, and singer. Born to a German mother and American father in Idar-Oberstein, Germany, he moved to the United States with his family in 1957. His career began on the Off-Broadway stage in the 1970s. He later achieved fame with his leading role on the hit television series ''Moonlighting'' (1985–89). He has since appeared in over 70 films and is widely regarded as an "action hero", due to his portrayal of John McClane in the ''Die Hard'' franchise (1988–2013), and other such roles. His credits also include ''Death Becomes Her'' (1992), ''Pulp Fiction'' (1994), ''12 Monkeys'' (1995), ''The Fifth Element'' (1997), ''Armageddon'' (1998), ''The Sixth Sense'' (1999), ''Sin City'' (2005), ''Red'' (2010), ''Moonrise Kingdom'' (2012), ''The Expendables 2'' (2012), ''Looper'' (2012), and as David Dunn in the ''Unbreakable'' film series: ''Unbreakable'' (2000), ''Split'' (2016) and ''Glass'' (2019). He made his Broadway debut in the stage adaptation of ''Misery'' in 2015. As a musician, Willis released his debut album, ''The Return of Bruno'', in 1987. He has since released two more solo albums, in 1989 and 2001.